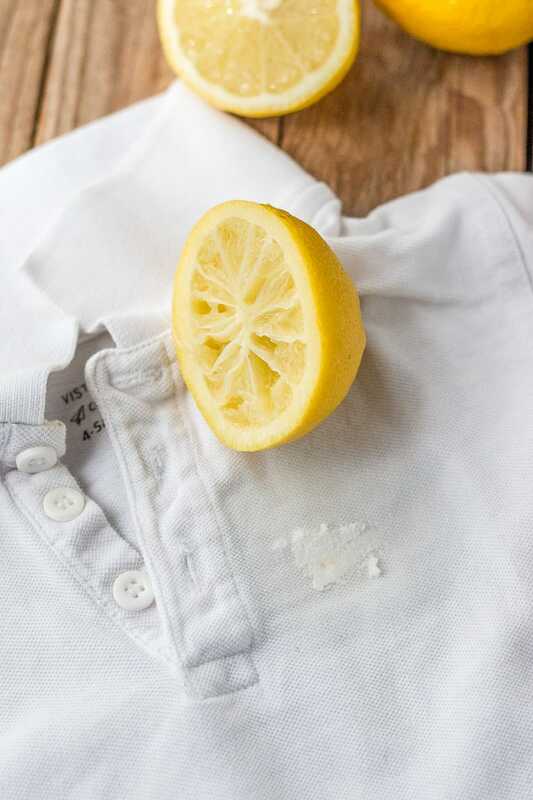 5 Things You Can Clean With Lemons - Oh, The Things We'll Make! Lemons are great for green cleaning around the house. Learn about 5 things that you can clean with lemons. 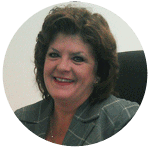 Today I'm bringing in a new guest poster, Beverly Jenkins. Before we get to her post, I just have to say that I tried a few of these tips out myself and was really happy with the ideas. 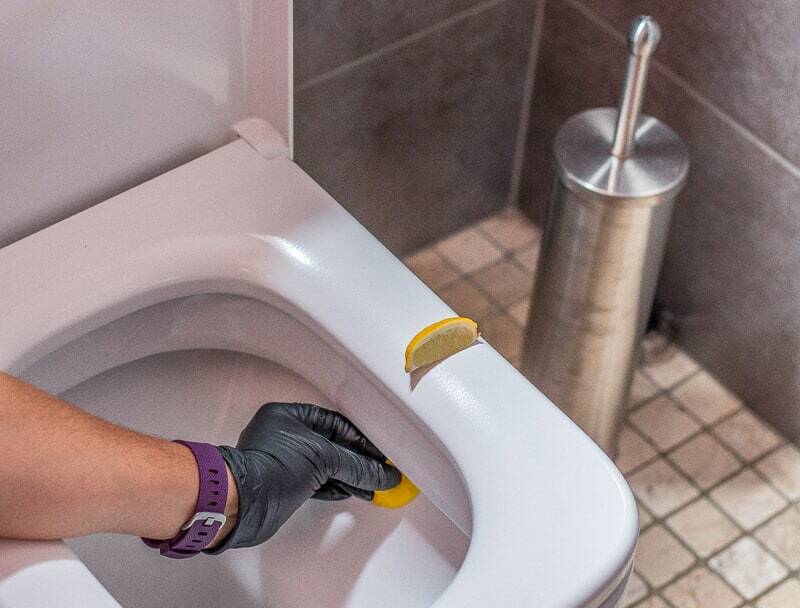 The lemon and salt worked great on my cutting boards, and I was amazed by how well a wedge of lemon cleaned under the rim of the toilet! I usually use a brush, and realized that the lemon was able to squeeze in and get to areas I hadn't been properly cleaning before!! Lemon is famous in our kitchens for adding that zesty flavor to food and cocktails. Surprisingly, its zest and power do not end in the kitchen as a food additive only. In fact, it can be used as a mild and very powerful cleaning agent that will cut through the most stubborn grease on almost any surface in your household. How is lemon a tough cleaning agent? Naturally, this fruit is highly acidic in nature. This alone makes it an efficient sanitizer with a high ability to combat most bacteria found in the household. The acid eats into grease and sludge loosening them for easy cleanout. Besides, it doesn’t just remove grease but also deodorizes. Furthermore, if you are looking for a cost-effective and environmentally friendly cleaning product, lemons are your go-to solution. They are natural, cheap and readily available. The following are 5 things you can clean with lemons. 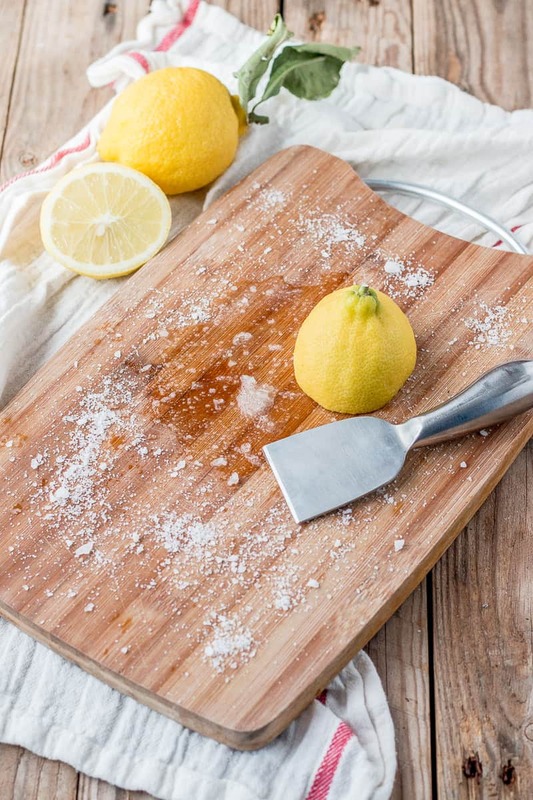 You can use lemon to give your wooden cutting boards a deep cleanse every now and then. All you need is a half lemon, coarse salt, warm water, and a scraper. Begin by sprinkling the coarse salt on the wooden board. Next, take your half lemon and rub the salt-covered board with the flesh side. Make sure to leave some lemon juice on the board for about 5 minutes then scrape hard with your bench scraper. Rinse thoroughly with clean warm water, and air it to dry. After this exercise, your board is not only clean, but also germ-free. Does your toilet bowl have an annoying scum ring around? Use salt and lemon to do away with it. You need a slice of lemon and salt for this task. Sprinkle some salt around your toilet bowl. Don some cleaning gloves and using the flesh side of the half lemon, scrub beneath the rim and the area where the water reaches. You can squeeze the rest of the lemon juice into the bowl. Use the toilet brush to scrub thoroughly and deeper into the bowl. If need be, you could add borax or bicarbonate soda to this mixture to get more effective results. Rinse by flushing the water. You may think that the garbage disposal is clean since water passes through it every time you are washing utensils. On the contrary, it collects a lot of grease and scum during the process and may fill up your house with pungent smells if not cleaned regularly. The good news is that you can use lemon peels to clean, sanitize and deodorize this important kitchen gadget. Start by switching off the power supply. Get a pair of tongs and pull out any non-disposable waste trapped inside the line. Then, add a cup of rock or coarse salt and two cups of ice into the disposal. Switch it on and allow cold water through it for five seconds. After that, connect your sink and open the water into the sink to a level of two to four inches while your garbage disposal is still on. This should purge the drain line and force all waste down. Throw into the disposal four slices of lemon peels one at a time when cold water is running. This will disinfect and kill any nasty odors from the garbage disposal leaving your kitchen and house smelling fresh. Removing rust marks on clothes is a gruesome task. However, you can allow lemons come to your rescue if stuck on this cause. Juice your lemon onto the stained area and smear cream of tartar on top. Rub gently and allow it to sit until the stain is fully gone. This solution takes out the stain within 15 to 20 minutes, depending on how tough the mark was. Once the stain is gone, you can launder your garment normally. It is easy to disinfect and clean your microwave using this natural product. Slice your lemon into small pieces and put them in a microwaveable bowl with warm water. Place it in the microwave and cook high for about a minute. 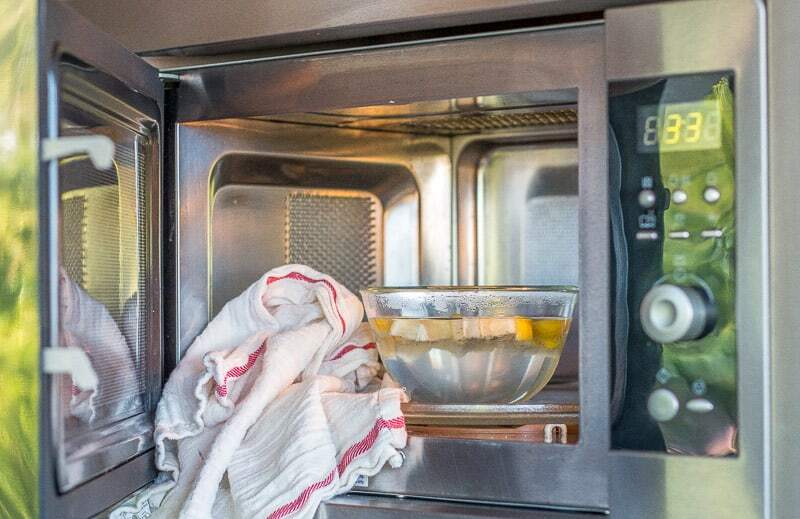 Open the microwave, remove the bowl, and wipe the interiors with a wet cloth. The steam will help loosen dirt while the acid from the lemon helps in sanitizing your cooking appliance. While I wasn't able to get the small stain completely out of my son's shirt, I'm also not sure if the stain was a rust stain or something else, so I'll have to file that idea away for another day. The other tips have been working great for me, and I really love her ideas! What do you think about them? Have you tried any of these before? Lemon is like a vinegar which has many uses to clean our house not just for cooking. Love lemons by the way! Awesome post! 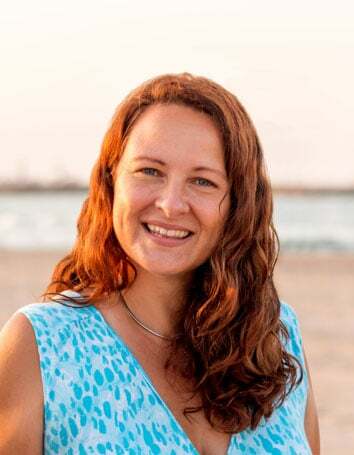 I am always on the hunt for easy ways to use natural products for cleaning rather than relying on chemical-filled cleaners. I had no idea lemons were so versatile for cleaning all the things! Thanks for the inspiration!